India has one of the largest and most ambitious renewable energy programmes in the world with a target of 15 % generation by 2020; major advantages include solar energy potential of 750 GW and wind energy potential of 100 GW. The Government of India has announced ambitious targets for renewable energy and is committed to ensuring sustainable inflow of capital to achieve them, along with the significant reduction over the past decade in the costs of generating renewable energy. 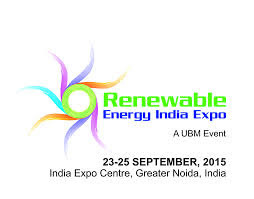 The Greater Noida city will host the 9th edition of the Renewable Energy India (REI) Exhibition and Conference from September 23 to 25. Gadgets from Japanese hydrogen- fuelled cars to wind-powered Taiwanese investors will be out on exhibition at the India Expo Centre in Greater Noida. 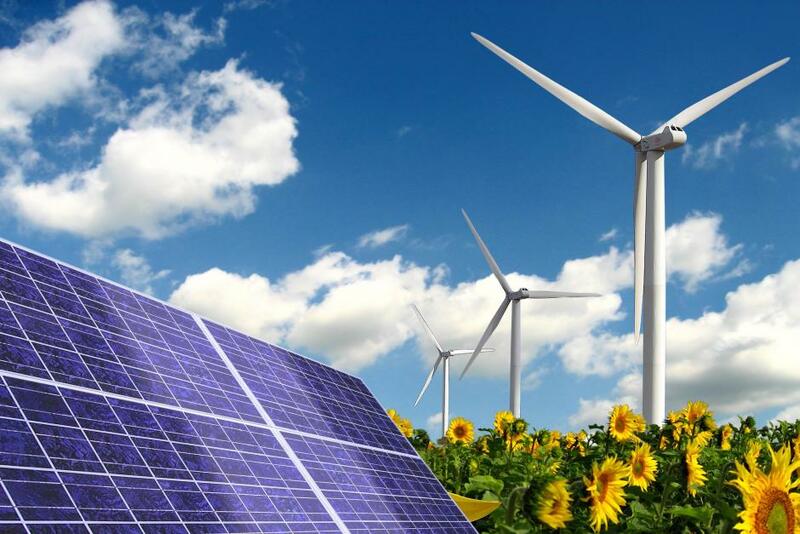 The three-day show, regarded as the most influential event in the renewable energy sector in Asia, will witness a convergence of at least 550 international renewable energy companies. A major participation is expected from Japan with 28 companies, the US with 14, Italy with 7 and China with 8 companies. Apart from these, companies from Taiwan, New Zealand and Canada will also take part in the expo. The show is being organized by the UBM India group. "With the increased focus of Indian government on renewable energy, there is a lot of scope for its expansion and implementation. The current government is targeting 10,0000 megawatts of solar power production by 2022. Hence, the international renewable energy community is keen on the colossal opportunities in India," said Rajneesh Khattar, group director, UBM India. The conference, along with the expo, will have several business-to-business meetings and it will provide exposure and funding opportunities to renewable energy start-ups, said Khattar. "A business idea contest, prior to the expo, has just been concluded and three top entries from the contest will get funding through the show," he added. Ambassadors from all the participating countries and top officials of the ministry of renewable energy are expected to attend the expo. REI provides the ultimate business solutions for the meetings and events industry, uniting an elite class of buyers from India and around the world. Exhibitors benefit from the opportunity to meet with a range of international and regional buyers who have the authority to place real business. Over the years, the show has established itself as the must-attend meetings and incentives event for the Asia-Pacific region with more than 11,000 Hosted Buyers and industry visitors. Attendees to the event get three days of power packed inter industry business opportunities within the Solar, Wind, Bio-mass/fuel, Small Hydro, Geothermal and Energy Efficiency sectors. Get more information about this event at UBM India.